Finally! 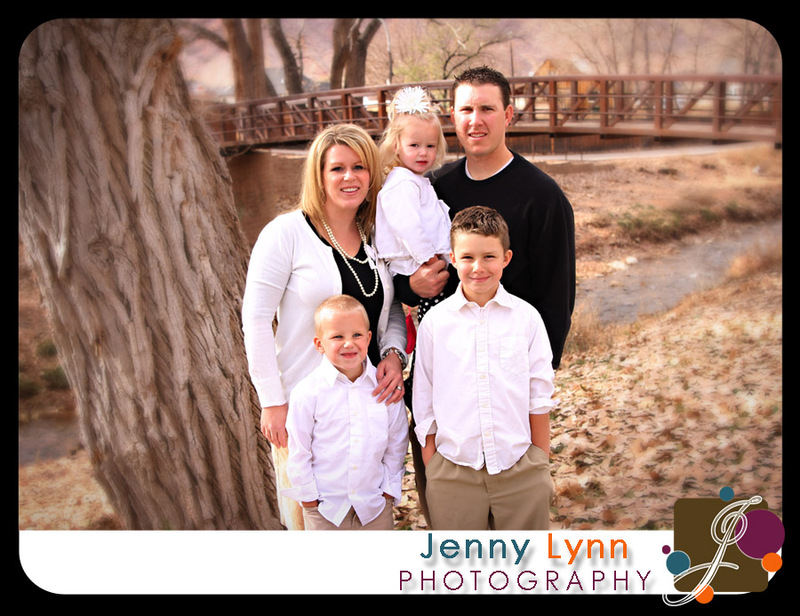 I get to let this cute family know their gallery is up! Go to the sidebar on the right and click on "Client Proofing." Find your gallery and enter the password. (Kelly and Traci have it if you don't already know what it is.) You can order prints right from there, OR you can order them through me. Click on "Order Pricing and Information" on the sidebar and find the order form you can print off, fill out, and mail in. Make sure you use the proof number on the bottom with your name first (i.e. : joeandsusan045) NOT the randomly generated number at the top! If you are getting larger prints you may want them mounted on styrene. If that is the case, order them from me and not the site. Feel free to contact me if you have ANY questions and thanks for being so patient!! It really was such a pleasure getting to know your family. Keep me in mind if you need photos in the future!! P.S. If any of you are on Facebook, COME FIND ME!! Okay, so I meant to choose one or two pictures from this session to show these guys while they are waiting for me to finish the two sessions ahead of them. . . . Obviously that plan did not go quite as I had anticipated. There were WAY to many that I loved to pick one or two. So. . . . .
My family is watching a movie, so I whipped out the ol' computer for a little editing fun. It is THEIR fault I did not work on your pictures tonight while I had a few spare minutes. I am really sorry. I just couldn't help myself. Yours will be done soon. Thank you for a fun afternoon. You guys are darling and I wish you well on your trip home and your upcoming marriage!! 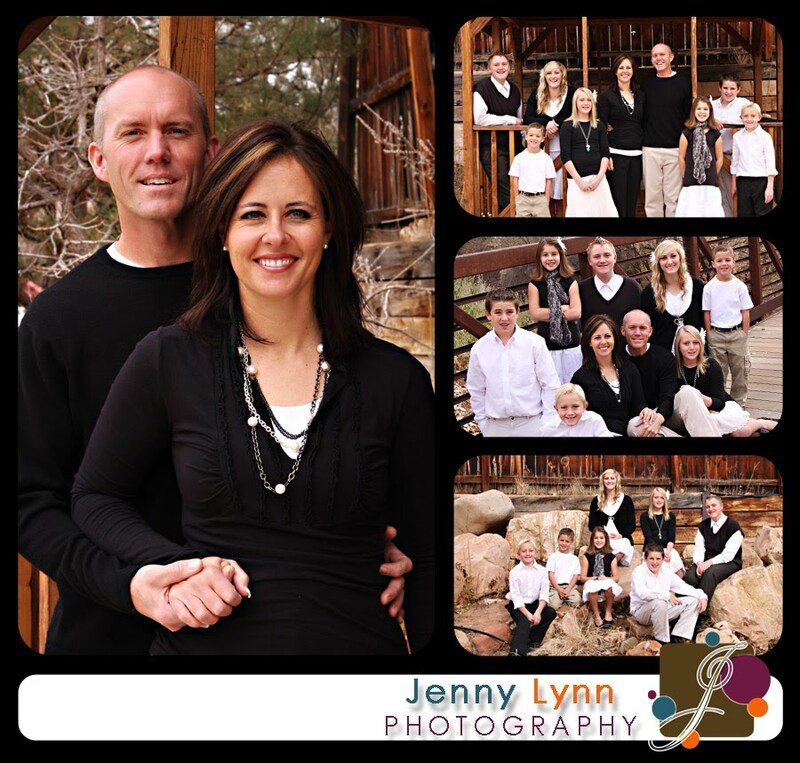 If you are ever in Saint George again and need more photos, don't hesitate to call!! 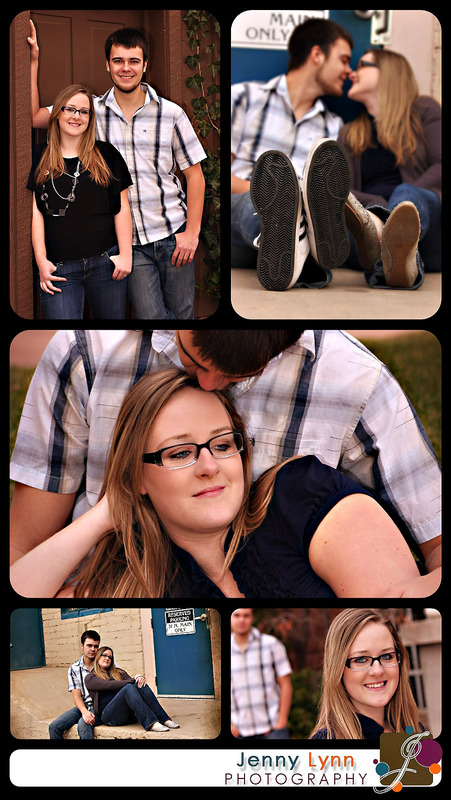 I still have 230 more of your images to go through, but these are a few of my favorites. I will let you know when your gallery is up!! P.S. Are you all on facebook?? Find me and I'll put some on so all your friends can see. Make sure you get on my fanpage AND my personal page or I can't tag ya! Thanks again. You rock. Can I just say these guys were ADORABLE!! The siblings are so cute with each other. In the few minutes I spent with them I could tell there is a lot of love in this little family. And aren't they all so good looking? It was a pleasure guys! 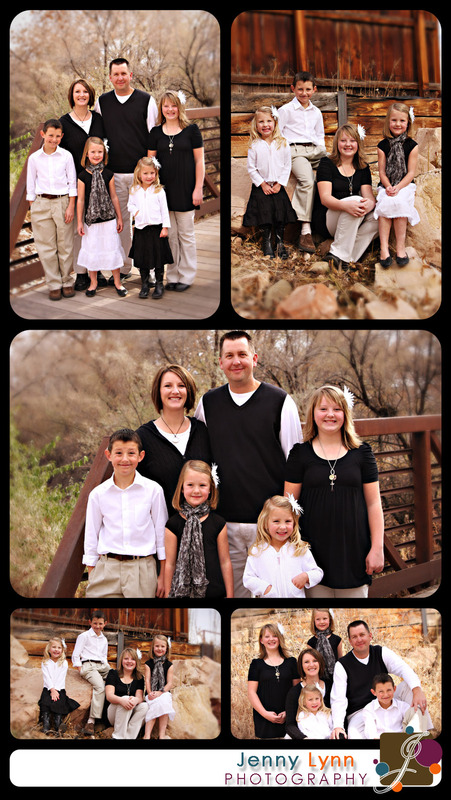 Here is a little sneaky peaky for two more of the families I shot Thanksgiving weekend. (Only two families and the BIG group shots left! Hang in there guys!) I know I've said it before, but this family rocks. So many good pics to choose from. Once I'm done with this family, I have some cute newborn baby girl shots and an engagement session from today to get ready for their online galleries. Do you think I can finish by the end of the week? I hope so! I've been listening to a web seminar ALL DAY today! I took a little break to shoot some engagements and then back to the computer. I've learned a TON and can hardly wait to try out all of these new ideas. Know anyone who is a Junior in High School right now?? Check back for an awesome Senior Model program I'm starting up. Hope you are having a great end to 2009 and a fun holiday season. I am loving being with my family and SLEEPING IN. Check back again soon! 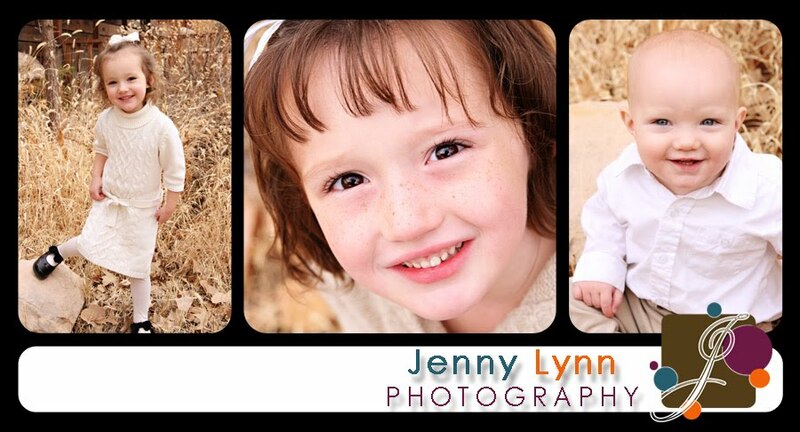 Lots of fun things in store for Jenny Lynn Photography. I can hardly wait!! Christmas at our house has been so much fun. We've slept in until at least 10:00 every morning and spent the days playing with the kids and editing photos. We may be poor school teachers, but it pays off on weeks like this! I love my little family. 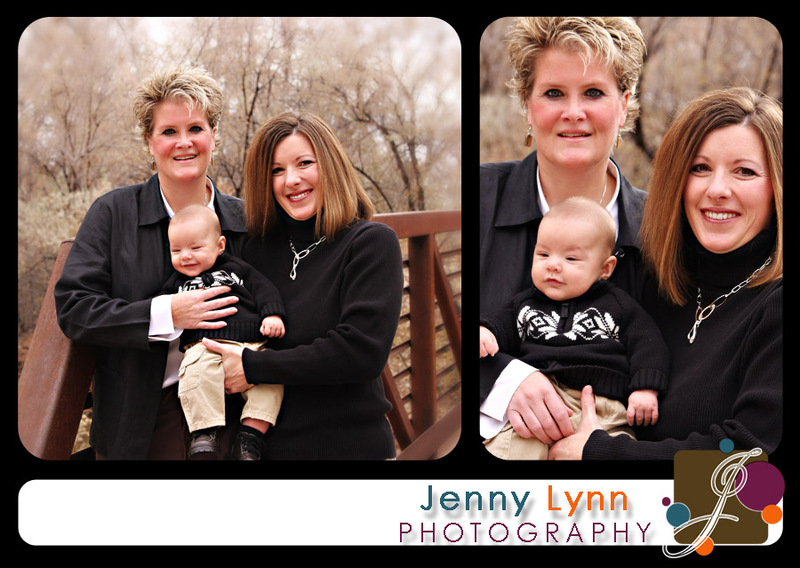 Here is another family I photographed Thanksgiving weekend. I cannot believe how well behaved their kiddos were! And super cute too. It was so much fun. 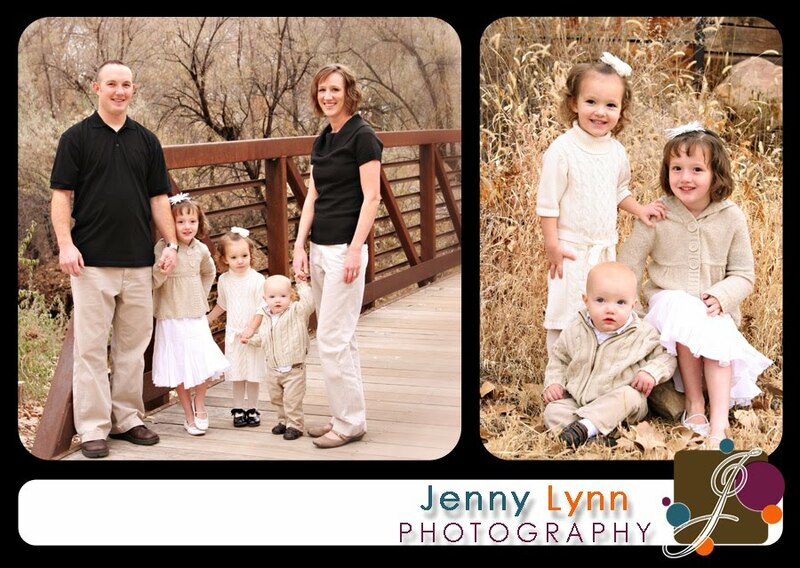 I have three more families to do from this shoot AND the GREAT BIG group shots to go through. I promise I will get them ALL finished before school starts again! Thanks guys for a great day! 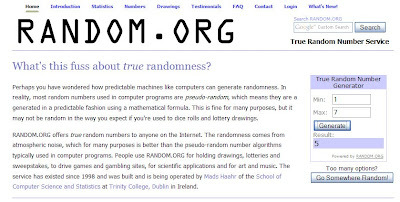 Thanks to random.org comment #5 is the winner of the Gift Certificate!! So, Shailynn Greenhalgh send me your address and I will get it in the mail to you! (jenny389@juno.com) Thanks to everyone who entered. 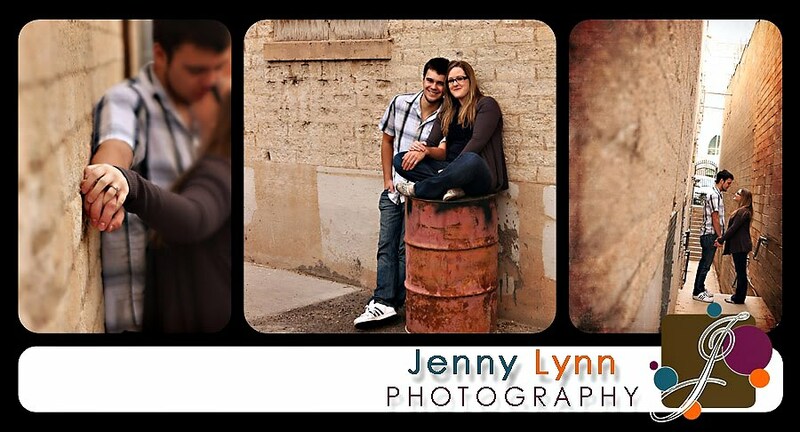 You all get 15% off your next session with me! Just remind me when you book. Stay tuned for some more recent session. I am planning one major editing sessions over Christmas break while my hubby is home. Thanks everyone for your patience during this CRAZY time of year! Hope you are all having a great holiday season! Seriously! I'm begging and groveling now. It's true. But I need your help! Time is running out. 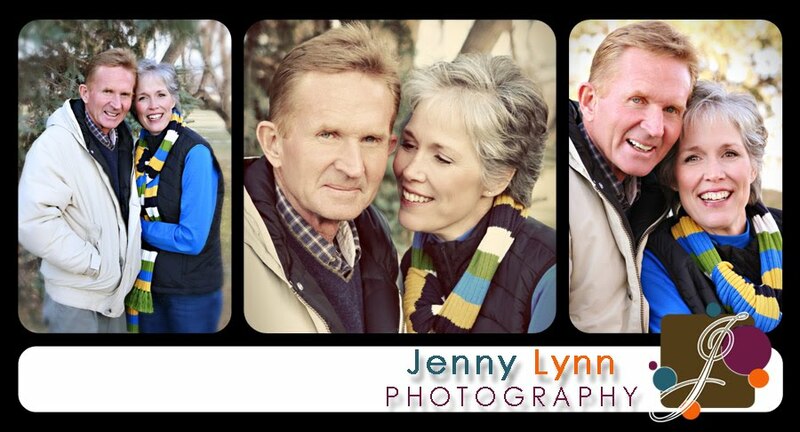 Go HERE and see how you can enter to win a free portrait session. Tell everyone you know! 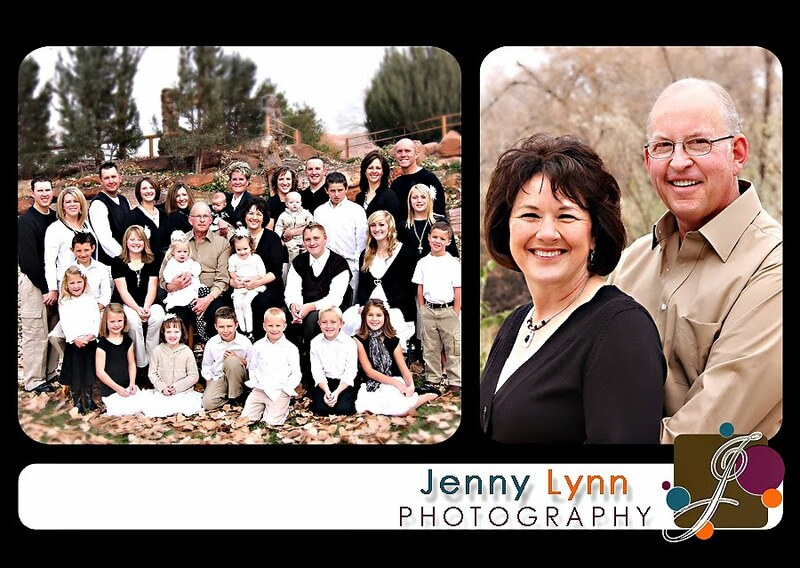 Last weekend I had a HUGE family session. There were the parents, 5 adult children, a few spouses, and a whole slew of grand kids. I figured we would be there for a few hours, but the kids were so well behaved and everyone was happy. It only took a little over an hour. I wish I could say the same about editing them! The first thing I do after downloading and backing up photos from a session is to go through and delete the obvious. Test shots, eyes closed, flailing limbs, whatever. I did that for these guys and I still have 287 left. That's two HUNDRED eighty seven. So, slowly but surely I will get them done guys! I promise. Here is the first little family I met that day. 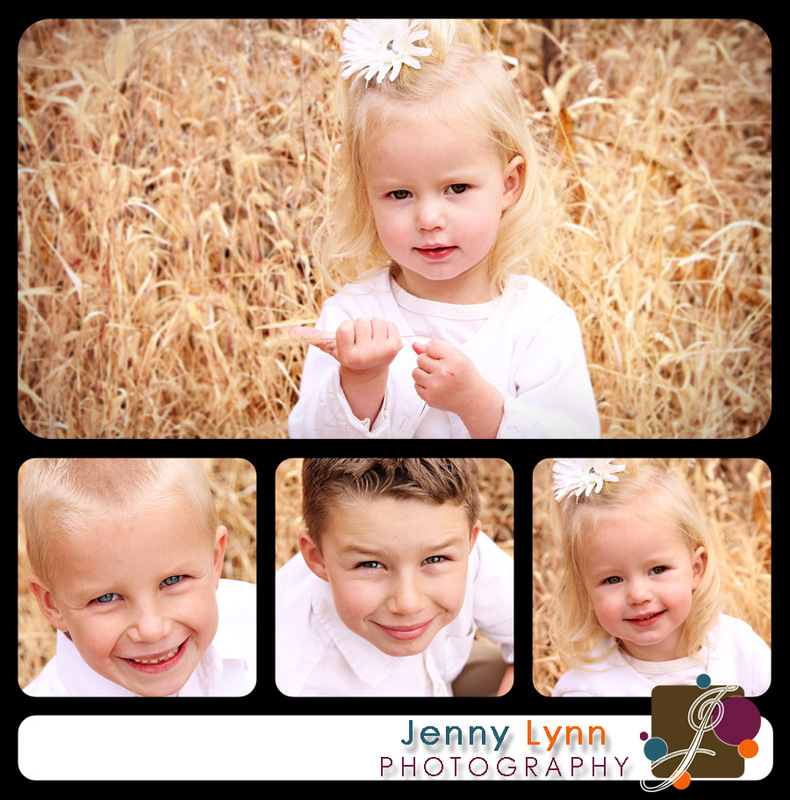 Their kids were so full of personality and the parents were so cute and nice. Here is a sneak peak you guys! Your gallery will be up by the end of today! Check it out. I will email you your password. Don't forget to enter the FREE SESSION GIVEAWAY!! Tell all of your friends and family. This would make a great gift for a loved one, or yourself! And find out about specials and events on our Facebook Fanpage! I did a little mini-session on our trip to Salt Lake a few weeks ago. 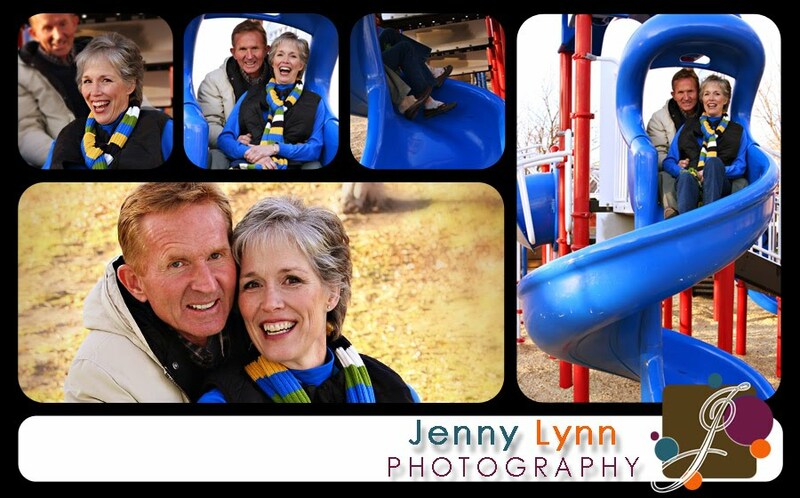 It was freezing cold and the light was terrible, but I think we got some fun shots anyway! Thanks guys! Your gallery will be up by the end of the night! Check it out here. 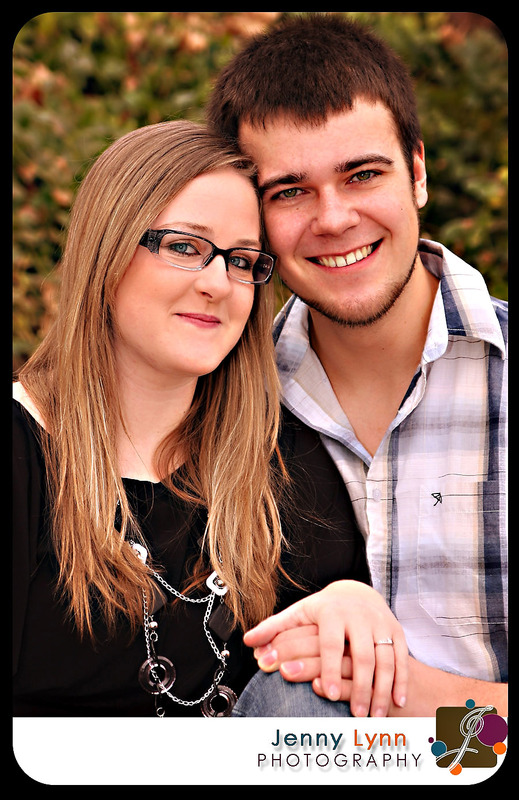 Don't forget to enter the FREE SESSION GIVEAWAY!! Tell all of your friends and family. This would make a great gift for a loved one, or yourself! 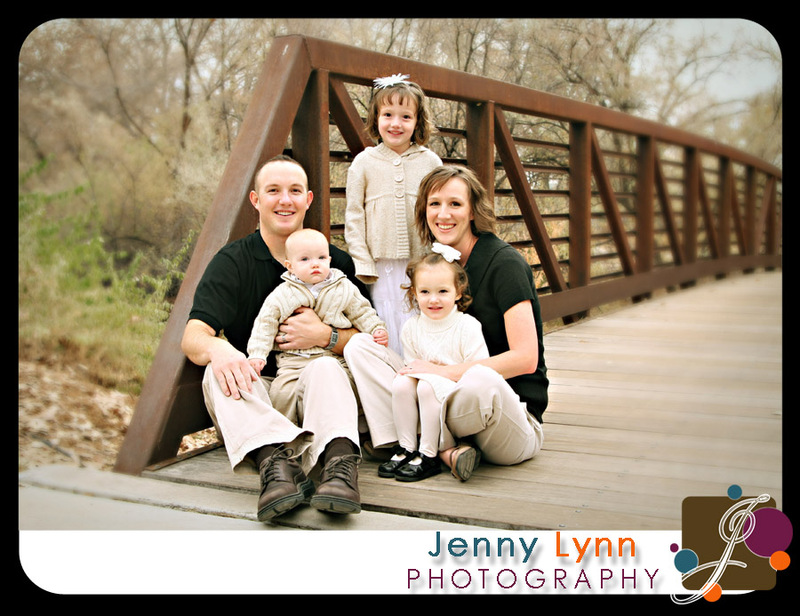 This is my good friend from a girl's camp I worked at one summer and her cute little family. We've been trying to get our schedules together for a while and when we finally did it was a cold, cloudy, dark day!! I really had to bump up my ISO (Kinda like film speed. . .) because the light was so dull, which makes photos "noisy" or grainy. BUT. . . We made the best of it and here are the results. Thanks for a fun afternoon guys!! PS Aren't those little eyes to DIE FOR! !